With over 20 years of experience in creating dental veneers in Balboa Island, California that beautifully enhance a patient’s smile, cosmetic dentist Dr. Hawary can transform any smile from unpleasing to fantastic in just a few days, if that is your desire. Dental veneers can be made to match or replace your natural teeth. You can customize your tooth length, width, size, color, translucency, texture, shape, and form with veneers to get the smile you’ve always wanted. The best candidates for porcelain veneers in Balboa Island would like more than a minor change to the shape of their teeth (as achieved with bonding), but less of a change than the extensive shaping required with crowns. Veneers can disguise discoloration caused by root canal treatment, tetracycline or other drugs, excessive fluoride use, or the presence of large resin fillings. 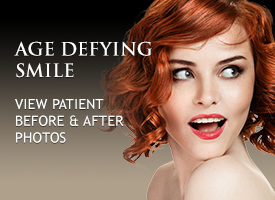 The Art of Dentistry Institute also offers prepless veneers in Balboa Island, CA. ìPrepless veneersî are veneers that are bonded to the surface of your teeth, with no or limited tooth structure being removed or reshaped in preparation to receive the veneers. They can be appropriate to correct some conditions ñ such as reshaping teeth that are too small. During the initial consultation for veneers in Balboa Island, CA, all aspects of a patient’s smile are assessed to help determine the best treatment plan and to ensure that the most aesthetically pleasing result is achieved. We at Art of Dentistry Institute want to ensure that your desired results are achieved in the best possible way. To find out if you are a candidate for dental veneers in Balboa Island, contact us at 949-955-3366 to schedule a consultation. We look forward to hearing from you! Veneers Balboa Island. Porcelain Veneers Balboa Island. Dental Veneers Balboa Island California.